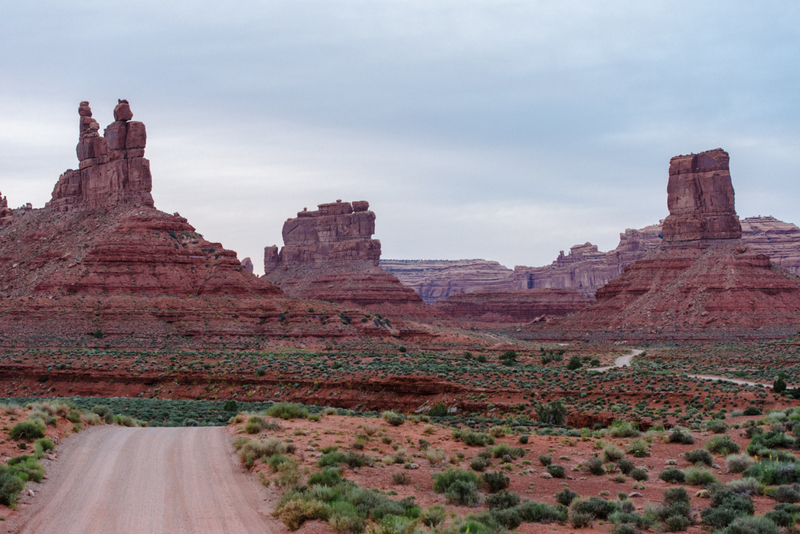 Perhaps one of the most intriguing names of all of the destinations in San Juan County is the Valley of the Gods. This special area attracts individuals looking for idyllic sandstone structures. While similar to the geography found at Monument Valley to the south, this spot sees much, much less traffic, thereby adding solitude to its many virtues. 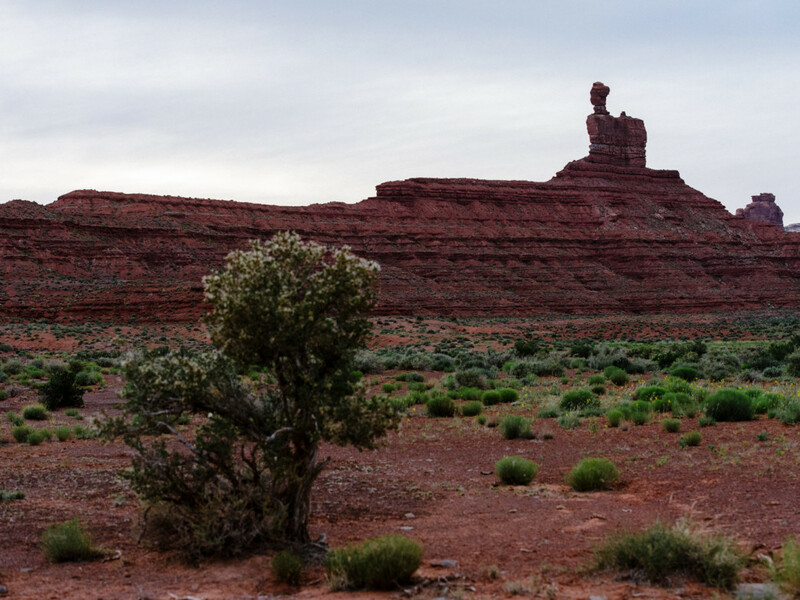 A number of tall, red, isolated mesas, buttes, and cliffs tower above the valley floor and can be seen while driving along the 17-mile gravel road on which it sits. Carved over the course of 250 million years from the Cedar Mesa sandstone, the formations show the power or time, water, wind, and ice at play in this desert landscape. During dry weather, the road is easily driven with a passenger vehicle. During and after rains, however, a 4X4 may be needed. The area is managed by the Bureau of Land Management(BLM), and there are no services in the Valley of the Gods, except for a bed-and-breakfast located near the western entrance. 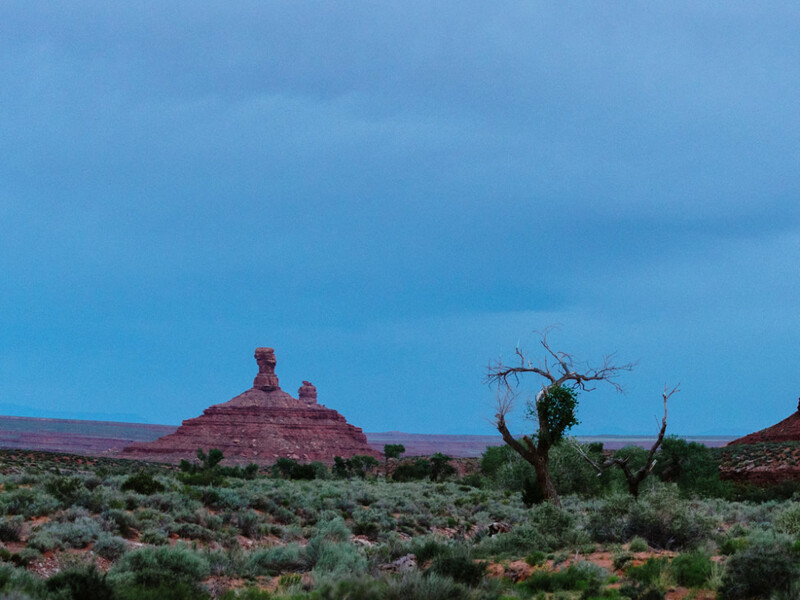 This scenic drive is one of the best in Southern Utah and one of the most underrated. Largely due to its lack of developed hiking areas and other amenities, it is a great place to escape the crowds and see the finer things that Canyon Country has to offer. The sandstone formations are unique here and similar to those found in Monument Valley. These monolithic rocks have been given intriguing names, including Setting Hen Butte, Rooster Butte, Seven Sailors Butte, De Gaulle and His Troops, and Lady in the Bathtub, to name a few of the nearly dozen listed on tourist literature. You can begin your drive at either the west entrance (Highway 261) or the east (Highway 163), and the direction of travel really isn’t of importance. As you drive along, you are welcome to get out of the car and explore at any spot you choose (park at pull-offs). Because this swath of land is located on BLM land, there are no travel restrictions or permits required like at Monument Valley. Without established trails you can roam freely and walk amongst the gods—the famous red dirt and richly colored formations beg for it. The vantage while driving on the highway to the west of the park at sunrise is rather breathtaking, as the monolithic monuments are silhouetted with the rising sun; the deep desert hues of big, bold skies juxtaposed next to even bolder rock structures; roaming freely among sage with the gods all around you; laughing as you try to name the formations yourself. Those who love to get away from the crowds; those who can’t get enough rock viewing after visiting the more-popular Monument Valley and other San Juan attractions; people who like feeling small by comparison to Mother Nature’s great doings; campers who are self-sufficient and don’t like to pay fees. Camping is also allowed wherever you’d like, but try to get away from roads and washes; no developed campgrounds exist here. 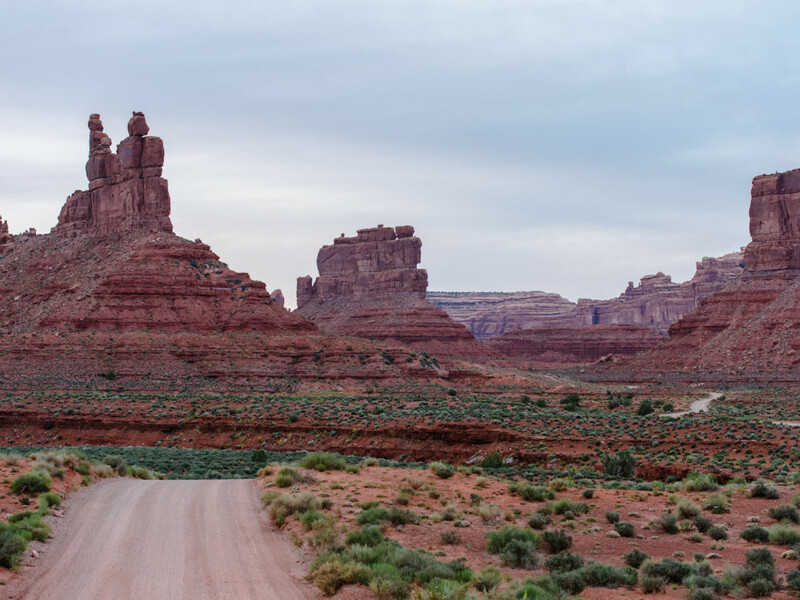 Valley of the Gods is open year-round. The best times to visit are March to early-June and September to October. Summer months can become oppressively hot, and are right in the middle of monsoon season. For saturated red rock and deep-hued blue skies, visit the park at sunset or sunrise. When wet, the roads through Valley of the Gods might become impassible, so take caution and check the weather forecast before venturing out.